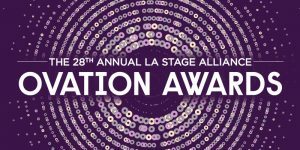 Nominees for the 2015 LA STAGE Alliance Ovation Awards were announced on Thursday, September 24 on @ This Stage Magazine [ThisStage.la]. This year’s Ovation Awards ceremony will take place Monday, November 9 at the Ahmanson Theatre at The Music Center. The curtain will rise at 7:30pm. Ebony Repertory Theatre and Center Theatre Group tied with 14 nominations each, followed by Wallis Annenberg Center for the Performing Arts with 13, and La Mirada Theatre for the Performing Arts and Sacred Fools Theater Company, tied with 10 each. Ebony Repertory garnered all 14 of their nominations for The Gospel at Colonus; Center Theatre Group received nominations for Chavez Ravine: An L.A. Revival (7) and Luna Gale (1) at the Kirk Douglas Theatre; Bent (3), The Price (1), and Immediate Family (1) at the Mark Taper Forum; and The Trip to Bountiful (1) at the Ahmanson Theatre. Wallis Annenberg Center for the Performing Arts received 11 nominations for their production of Deaf West Theatre’s Spring Awakening (Deaf West’s original intimate theatre production received four nominations), Love, Noël: The Letters and Songs of Noël Coward (1), and Best Season; La Mirada Theatre for the Performing Arts received nominations for Carrie The Musical (5), Billy Elliot the Musical (1), Mary Poppins (1), Jane Austin’s Pride and Prejudice, A Musical (1), Good People (1), and Best Season; and Sacred Fools received nominations for The Behavior of Broadus (9) and Astro Boy and the God of Comics (1). Along with La Mirada and the Wallis Annenberg, Best Season nominations went to Los Angeles LGBT Center, Rubicon Theatre Company, and The Theatre @ Boston Court. Ovation Honors, which recognize outstanding achievement in areas that are not among the standard list of nomination categories, have been awarded to Mat Sweeney and Ellen Warkentine (Music Composition for a Play, The Temptation of St Antony at Four Larks), Mike Mahaffey (Fight Choreography, She Kills Monsters at Loft Ensemble), and Ted Blegen (Puppet Design, She Kills Monsters at Loft Ensemble). Founded in 1989, the LA STAGE Alliance Ovation Awards are the only peer-judged theatre awards in Los Angeles. Voters are Los Angeles theatre professionals who are chosen each year, through an application process, by the Ovation Rules Committee. The list of nominees is determined by a tabulation of scores conducted by Green Hasson Janks. This year’s Ovation Awards eligibility period ran from September 1, 2014 through August 30, 2015. LA STAGE Alliance is a nonprofit arts service organization dedicated to building awareness, appreciation, and support for the performing arts in Greater Los Angeles. Their programs are sponsored in part by Green Hasson Janks, Ken Werther Publicity, Sony Pictures, The Shubert Foundation, Arts:Earth Partnership, The Ralph M. Parsons Foundation, Los Angeles County Arts Commission, NBC Universal, Bloomberg Philanthropies, Dew Foundation, Baker’s Man Productions, California Arts Council, Doris Duke Charitable Foundation, The Sheri and Les Biller Family Foundation, The James Irvine Foundation, National Endowment for the Arts, and Walt Disney Parks & Resorts Creative Entertainment. Variety is the media sponsor for this year’s Ovation Awards ceremony. The LA Stage Alliance Ovation Awards, celebrating theatrical excellence and achievement during the 2009-2010 season, were presented on Monday, January 17, 2011 at the Thousand Oaks Civic Arts Plaza, home of Cabrillo Music Theatre. Thirty-six awards were bestowed upon 21 different Southern California theatre companies. Leading the pack, tied with five awards each, were The Fountain Theatre (The Ballad of Emmett Till, Opus, and the coveted Best Season Award), and The Geffen Playhouse (Equivocation, Through the Night). Center Theatre Group (Parade at the Mark Taper Forum and The Wake at the Kirk Douglas Theatre) and the Rubicon Theatre Company (Daddy Long Legs) tied with three each. Reprise Theatre Company (Carousel, How to Succeed in Business Without Really Trying), The Colony Theatre Company (Grace & Glorie), The Theatre @ Boston Court (The Good Book of Pedantry and Wonder, a win shared with Circle X Theatre Company, and Oedipus El Rey) and the Troubadour Theatre Company (Oedipus The King, Mama! ), each took home two statuettes. Four 2010 Ovation Honors were acknowledged: KC Wilkerson (Video Design, The Who’s Tommy at The Chance Theatre), Ego Plum (Music Composition for a Play, Gogol Project at the Bootleg Theater), Lynn Jeffries (Puppet Design, Project Wonderland at the Bootleg Theater), and Edgar Landa (Fight Choreography, Oedipus El Rey at The Theatre @ Boston Court). For a complete list of winners, visit www.lastagealliance.com. Presenters included Shirley Jones, Patrick Cassidy, Sally Struthers, Doris Roberts, T.R. Knight, Jenny Powers, Matt Cavenaugh, Harry Groener, Mike O’Malley (Glee), Alan Mandell, Tessa Thompson (For Colored Girls …), Monica Rosenthal (Everybody Loves Raymond), Erich Bergen and Michael Ingersoll (Jersey Boys), Carole W. Nussbaum (President and Chief Executive Officer, Cabrillo Music Theatre), Jacqui V. Irwin (City of Thousand Oaks Council Member and Mayor Pro Tem), Mary Lou Westerfield (Western Regional Director, Actors Equity Association), and Oz Scott (West Coast Board Member, Stage Directors & Choreographers Society). LA Stage Alliance is a 501(c)(3) non-profit organization dedicated to building awareness, appreciation and support for the performing arts in greater Los Angeles through community building, collaborative marketing, audience development, professional development to strengthen operations for members, and advocacy. 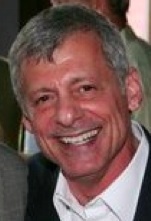 LASA serves over 325 organizational members (professional, educational, and community-based producing and presenting performing arts organizations) annually in the counties of Los Angeles, Orange, Riverside, San Bernardino, Santa Barbara and Ventura, and individual members comprised of local, regional, national, and international performing arts patrons. The Ovation Awards are made possible by LA Stage Alliance and Cabrillo Music Theatre sponsors: Actors Equity Association, Goldstar, the Community Redevelopment Agency of the City of Los Angeles, Gelson’s The Super Market, Footlights, Production Resource Group, Ken Werther Publicity, Capture Imaging, Schwabel Studio, Bakers Man Productions, KUSC Classical 91.5 FM, the Los Angeles Times, Patron Technology, Target Resource Group, Valley Bakery, Marriott, the City of Thousand Oaks and the City of Thousand Oaks Board of Governors. The Ovation Awards are tabulated by Green Hasson Janks.